I rely on myself in my battle for weight loss all. the. time. To be honest, before this study, I didn't look at it any other way. It wasn't something I asked God to help me with. I got myself into this, so I have to get myself out. And I fail, get upset and the cycle continues. My own strength is quite powerless. I joined Weight Watchers again last week and went to my first meeting last night. For me, it is a great program. It helps me with portion control and being aware of what I am eating, which is where my struggle lies. I am not a snacker, but during meal times, I want a lot of food. The topic this week was about emotional eating. How to control it, what to do instead, etc. So, as I am sitting through the meeting, where helpful, practical tips are shared, a light bulb went off. Yes, the suggestions were good and would be helpful, but I have something, Someone, on my side. 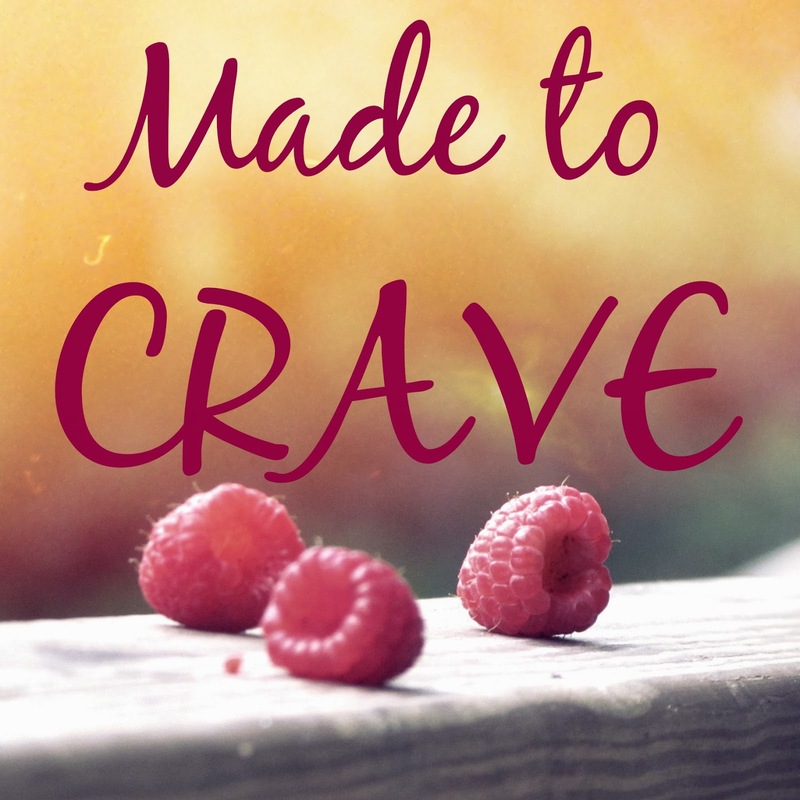 We are made to crave, just not food. The suggestions of exercising or doing a hobby were good to help stay away from food, but there is a bigger issue to be dealt with. Will this be something I struggle with forever? Not if I completely and totally give it to God, it won't! But that wasn't the case for the other people in the room. This was going to be a life long battle for them. There wasn't any hope of truly being free from food. Someone even brought up the saying, "Nothing tastes as good as skinny feels." The first thing I thought of was, "Nothing tastes as good as PEACE feels." It isn't about being skinny. It is about having peace - the peace of God. My eyes were really opened. I can't do this on my own. I don't want to do it on my own. I am excited to really push forward with my weight loss knowing that it isn't just about becoming skinny. It is about being healthy because that is what God wants. He wants the best for me and I can't allow anything else to control me. Colleen - YES! I love that! "I have something, NO, SOMEONE!" who is able to make me stand against that tide of emotional eating (or spending or whatever). I pray God continues to make you able as you walk in obedience to healthier choices. Great encouragement here today! Thanks, Missy! I am so grateful that my God cares enough about me to care about me to help me with these battles. Yes!!! We have the greatest planner in the universe right next to us, helping us along in this endeavor to crave only Him! God bless you, my dear. Thank you, Linda! Praise God that He walks with us on every journey we take! It is a great feeling knowing He is on our side!! We are powerless and need Him with us at all times. I like your statement, "Nothing tastes good as peace feels!" Keep craving Him! Thanks for the encouragement!! Thank you, Jennifer! I am so glad we have "met" through our small group! Thanks for stopping by! Amen! "Nothing tastes as good as peace feels!" We just have to keep telling ourselves that over and over!! I totally agree, Amber.. I have to stop being so mindful of the number on the scale and start measuring my journey by the feeling in my soul.